Nothing makes the holidays more festive than a dinner party at home, especially when that home has been prepared with all the coziness and good cheer you can muster. When deciding how to get ready for a party, take a quick look around the living room and dining room, and let your mind wander to party setup ideas that will keep the mood light and cheery. Before you start gathering the ingredients for your special pie crust, let us offer three dinner party tips to keep your home sparkling, your guests relaxed and comfortable. For an effortless party launch, set up a drink station on your buffet server to beckon guests after they drop their coats. While you finish dinner prep, guests can serve themselves. Also, since appetizers take a lot of real estate on the kitchen island, arrange the apps on the buffet server along with the cocktail napkins. 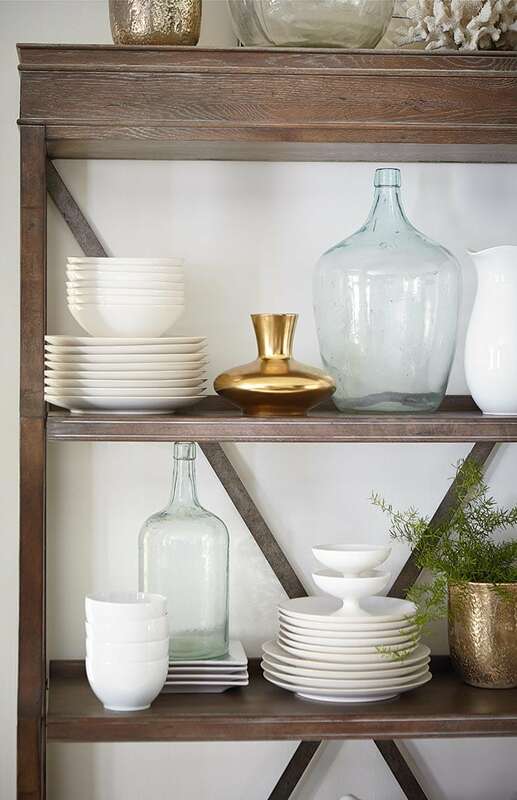 During dinner, use your buffet server to hold wine bottles, water, spare utensils, and side dishes. Arranging all these things on the buffet server keeps you at the table rather than running back and forth. When it comes time for dinner, make sure your guests have enough elbow room to pass the gravy. Nothing is more inviting than a modern dining table like our Astor Dining Table filled with your favorite holiday foods, festively decorated, and surrounded by family and friends. If you need to add a leaf or two, that’s OK – the more, the merrier! Moving to the living room, layer your lighting to create a festive atmosphere. Serve coffee and desserts away from the table. A cozy sectional within reach of an end table invites guests to sip and linger. Have a guest who wants a job? Direct them to the Artisian Tray Cocktail Table and allow them to help distribute the dessert coffee. Tray ottomans are built to provide flexibility for mingling at your home dinner party. Holidays are defined by memories made around your furniture, and these dinner party tips will keep your guests smiling throughout the season. 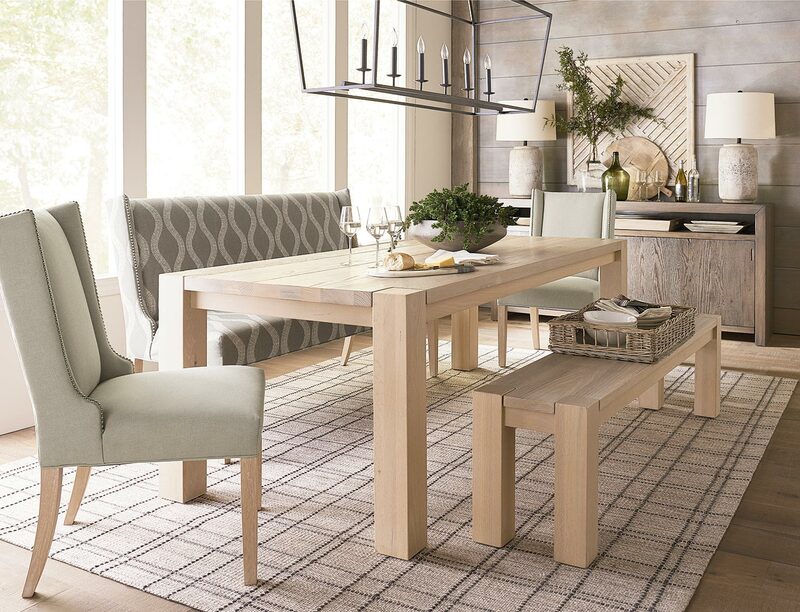 For dinner party memories designed to last a lifetime, warm up your home with Bassett Furniture’s Bench*Made furniture – handcrafted with as much care as your favorite appetizer.